That witch is guilty Murder in the First! We knew that. So is Obama but she’s white so if anybody takes a fall it will be her. Our new Chick-fil-A opens this month! Your loyal support keeps FR on the air and is very much appreciated!! Woo hoo!! And we’re now over 48%!! Woo hoo!! And were now over 48%!! Click a Turtle! Thank you for the pic, Bryan (Hubby). 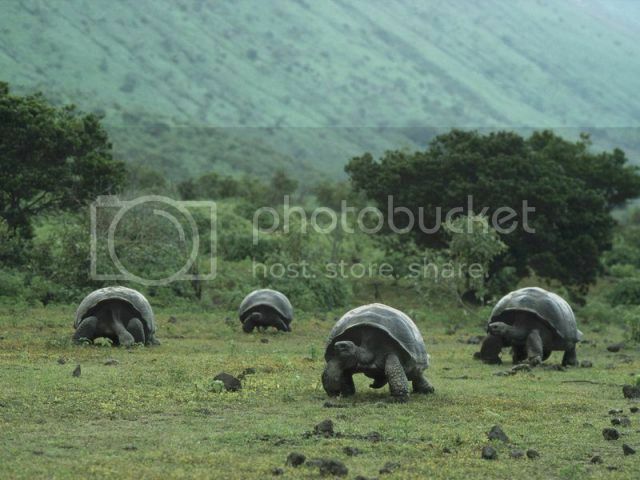 Giant Galapagos Turtles Are on a Hunt for New Monthly Donors!! JIM JUST POSTED EVEN MORE OF YOUR GENEROUS DONATIONS!!! GOD BLESS OUR HERO WHISTLE BLOWERS!!!! 2 NEVER NEVER LAND, NEW JERSEY, TENNESSEE & TEXAS FReepers!!!! And were now over 48%!! Please Remember Free Republic Today! Thank you so much, Jim and John! Thank you very much, long time Texas lurker!! JIM JUST POSTED A WHOPPER OF A DONATION!!! THANK YOU SO MUCH, TEXAS LONG TIME LURKER!!!! THANK YOU SO MUCH, TEXAS FReeper/Lurker!!!! God Bless You & God Bless Texas! I have to quit again for awhile. Thank You Wonderful, Fabulous Monthly Donors! VERY GENEROUS FReeper Sponsors are kicking in $10 for EVERY New Monthly Donor!! Sign up with Jim right now!!!! Thank You Again and Welcome to the Club to All New Monthly Donors!!! Please contact Jim Robinson if youre a Monthly Donor and would like your name to appear on this List! Thanks very much and thank you for your loyal support of Free Republic! Thank You Super Fabulous $1 A Day Club Members! VERY GENEROUS FReeper Sponsors are kicking in $10 for EVERY New $1-A-DAY DONOR!!! Welcome to the Club and Thanks Again to All New $1 A Day Club Members!!! By contributing at least $30 a month or $360 a year to Free Republic, you may become a member of the Dollar-A-Day Club. Please contact Jim Robinson if youre a Dollar-A-Day Donor and would like your name to appear on this List! Thanks very much and thank you for your loyal support of Free Republic!